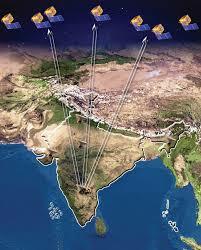 Indian Remote Sensing (IRS) Satellite system is a matter of pride to the nation on account of the lengthy series of success. The triumphant story began with the launch of the first satellite in the IRS series IRS 1-A which was placed in polar sun synchronous orbit from the Soviet cosmodrome Baikonur on 17th March, 1988. The IRS 1-A has been considered as a full-fledged indigenously built satellite at the time of launch as it possessed state-of-the-art technology. The satellite had remote sensors called LISS-I, LISS-II A and LISS-II B. While the first sensor had spatial resolution of 72.5 meters and a swath of 148 km on ground, the sensors LISS II-A&B had each spatial resolution of 36.25 meters, exactly half of the LISS-I. The LISS II sensors were mounted on the satellite in such a way that they had a combined composite swath of 146.98 meters on the ground. The next in the line was a similar satellite IRS I-B, launched on 29th August, 1991 by the launch vehicle Vostok from Baikonur cosmodrome. The caliber of the solid push boom cameras LISS I and II was same as that in IRS I-A. The mission of IRS I-B was completely successful and lasted 12 years and four months, when it came to an end on 20th December 2003. The data provided by the satellites IRS I-A and IRS -B served for groundwork in assessment of water resources, area under forestry, ecology, geology, marine fisheries and agriculture by NNRMS (National Natural Resources Management System) which was set up in Dehradun in 1983. The experimental experience from the launch of Bhaskara-I and II, IRS I-A and B has given further impetus to use more Earth Observation satellites in space for more intensive study on natural resources for national development. Though the IRS P1 launched later on 20th September 1993 crashed due to the launch failure of PSLV, six satellites have functioned extremely well and fifteen other satellites are actively in service. After the launch failure of IRS P1, the next satellite IRS P2 was launched on 15th October 1994 completed its mission successfully. IRS P2 was the trend setter for the subsequent launches of IRS 1C on 28th December 1995, IRS P3 on 21st March 1996, IRS 1D on 29th September 1997, IRS P4 (Oceansat-1) on 27th May 1999, and the Technology Experiment Satellite TES on 22nd October 2001, all of which have completed their respective missions successfully. 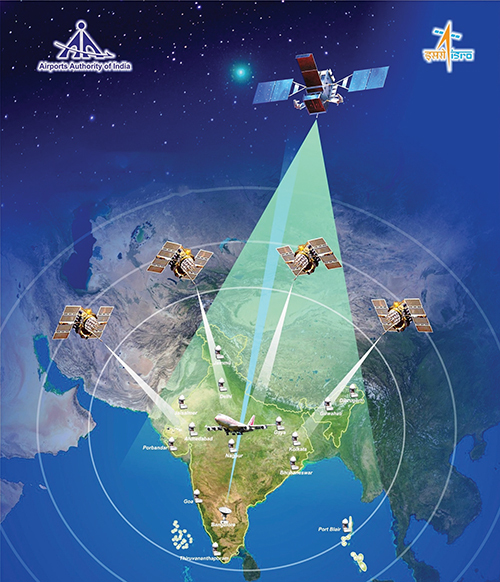 The other satellites which are in active operation are IRS P6 (also known as Resourcesat launched on 17th October 2003, IRSP5 (Cartosat 1 launched on 5th May 2005), IRS P7 (Cartosat 2 on 10th January 2007), Cartosat 2A (28th April 2008), IMS 1 (28th April 2008), Oceansat-2 (23rd September 2009), Cartosat 2B (12th July 2010), Resoucesat-2 (20th April 2011), Megha Tropiques (12th October 2011), RISAT-1 (26th April 2012), SARAL (25th February 2013), Resourcesat-2A (7th December 2016), Cartosat-2D (15th February 2017), Cartosat 2E (23rd June 2017) and Cartosat 2F (12th January 2018). In remote sensing, India became a successful space-faring nation and set an example worth emulating for the rest of the nations aspiring to make a beginning in space research and monitoring of their natural resources.